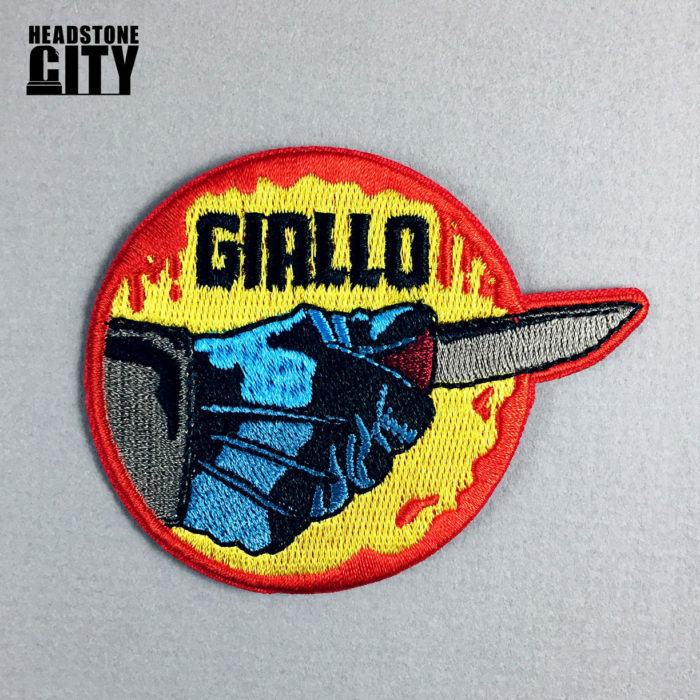 Headstone City has now completed the Giallo set with a Giallo enamel pin, Giallo patch and Giallo t-shirt. Inspired by Italian horror and thriller films by Dario Argento, Lucio Fulci, Mario Bava and other horror directors. 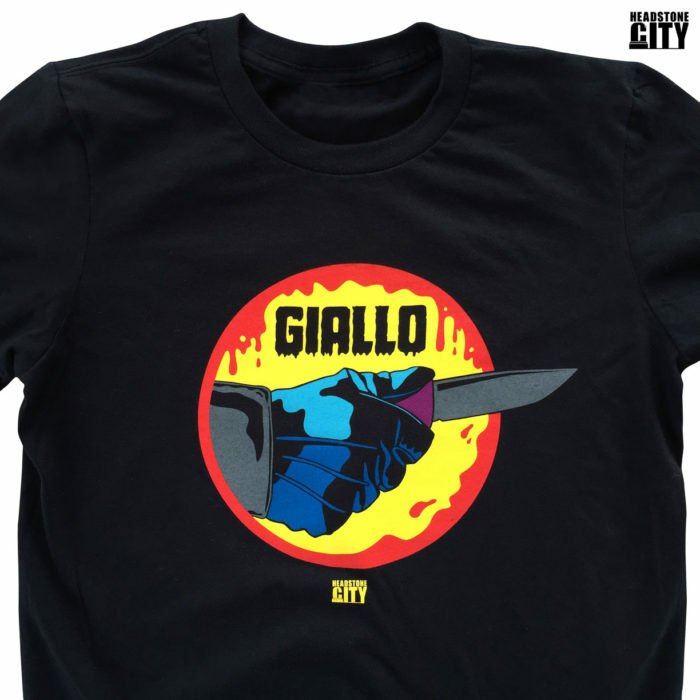 Our Giallo horror merch set will complete your slasher collection. Get an enamel pin, patch or t-shirt today at HeadstoneCity.com. Or collect the entire Giallo horror set! Inspired by Italian horror and thriller films by Dario Argento, Lucio Fulci, Mario Bava and other horror directors. 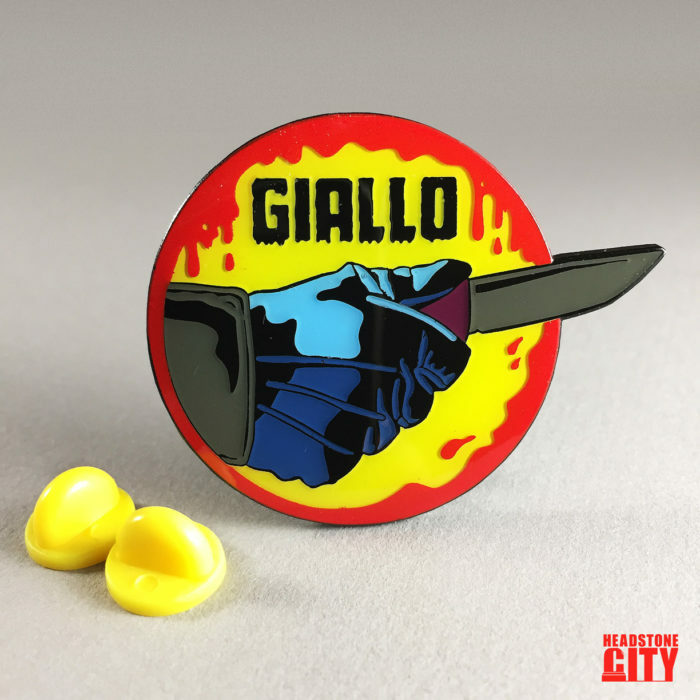 Our Giallo pin will complete your slasher collection. Get one today at HeadstoneCity.com!